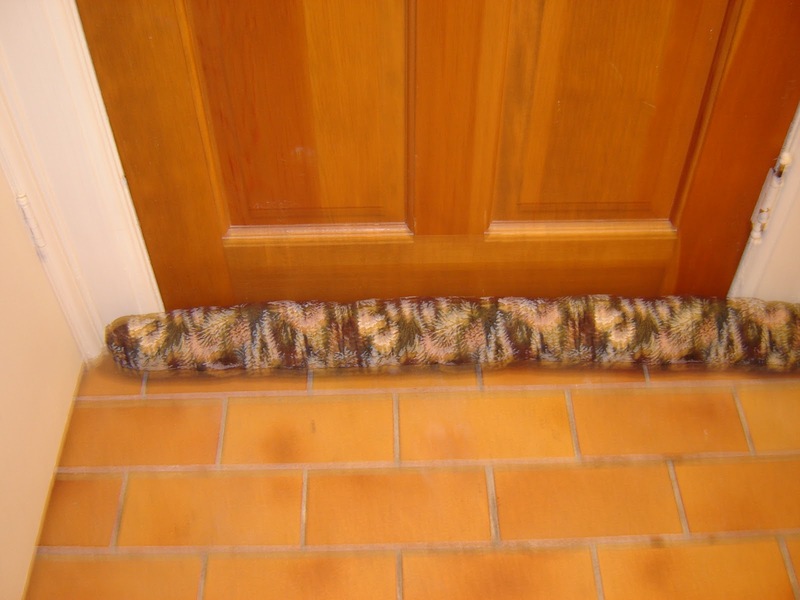 It has been super cold in Windsor and Essex County and here is something that I remember from my childhood that helped keep the house warmer or at least less cold. 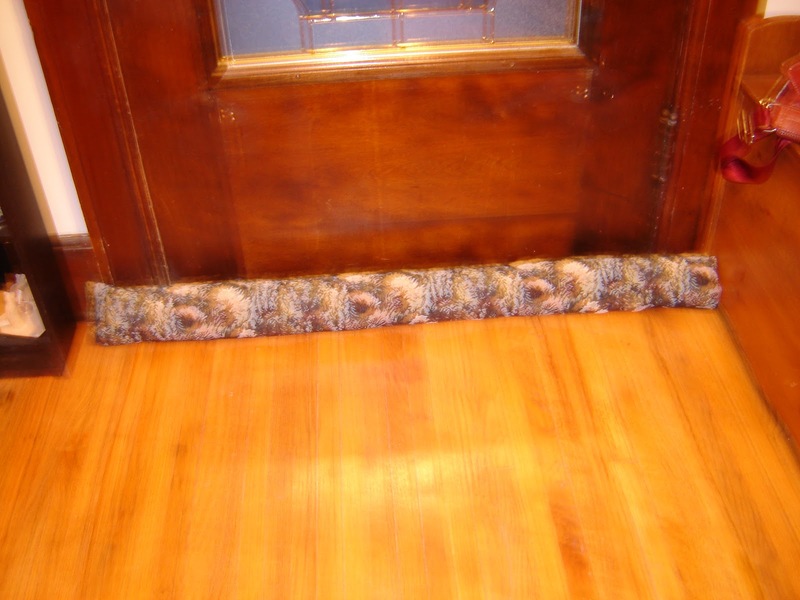 Easy to make, the door draft dodgers or snakes keeps those winter drafts out so you stay snug. Cuts down on any excess heat and pollution in the summer too. To make one take some heavy upholstery material which will wear well. Cut the length of the door plus some extra. Sew up two sides and stuff with some old hosiery, stuffing from old pillows and tee shirts for weight. Tuck in or sew up to close. You can also make smaller ones for windows if they have enough sill or ledge. Here are mine from the front door and the back door.